hd00:17Simmering spaghetti marinara sauce with spices and herbs as ingredients before pouring over pasta. 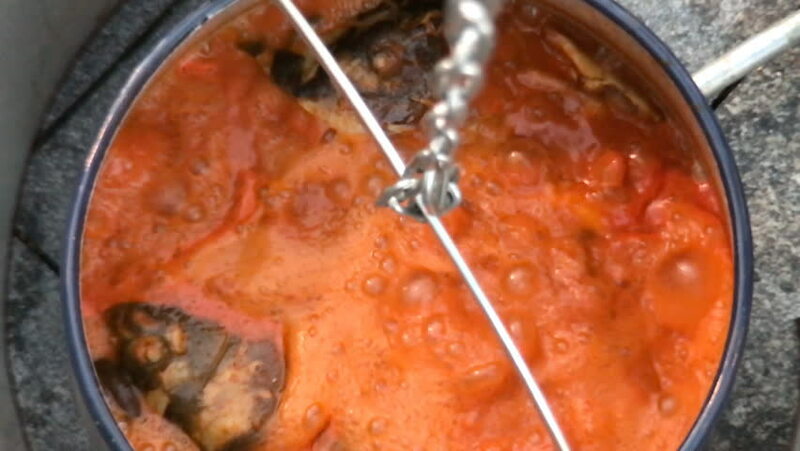 hd00:09Stew in cauldron boiling close up. Long shot top view of boiling stew in focus inside cauldron under a bright sun. hd00:18Fresh mackerel fried in a pan.